The long New Year holidays are over and Russians tired of taking it easy have gone back to work. As everyone knows, Monday is a rough day, but the Monday after two weeks of vacation is even harder. The movie 'Leviathan' by director Andrey Zvyagintsev a Golden Globe for Best Foreign Film and was nominated for an Oscar. Moscow's Manezh is hosting the exhibition "Cats in the Manezh". 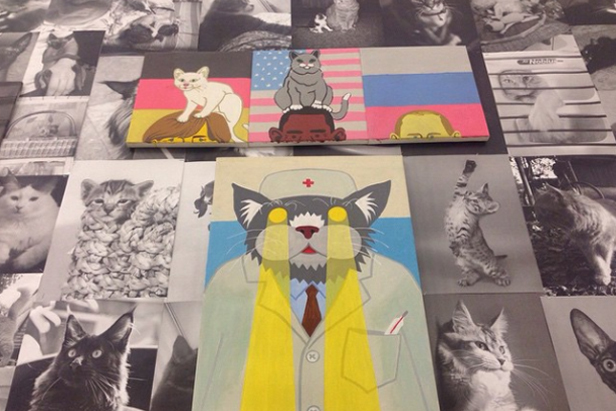 Contemporary Russian artists decided to reenvision the pop image of cats in mass culture. The Moscow Metro continues to improve. This time, the changes didn't affect the stations, but rather the trains. The gray line debuted its first articulated (or accordion-style) train.